The fact remains that it’s harder for smaller businesses—even those with stellar credit ratings—to get traditional bank loans than it is for larger businesses. Over 63% of business owners attempting to find funding say they most often targeted banks. 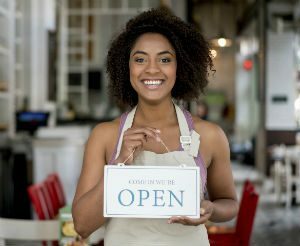 The success among these respondents of actually getting a small business loan was a low 27%, reports SBA. Unfortunately, bad credit—which is defined by FICO as a score of 300 to 629—currently plagues a large percentage of small business owners, as a result of the financial crisis several years back. One way entrepreneurs can overcome the stigma of poor credit is to apply for revenue-based loans, which are based on regular monthly bank deposits, according to Marco Carbajo, founder of the Business Credit Insider’s Circle.